There are 12 months in a year but December has its own significance regarding to winter season as well as Poetry. A variety of different poetry has been written by different poets and poetess in different languages across all over the world. January is the first month of the year, from which new year starts and this month has also its significance of new year. 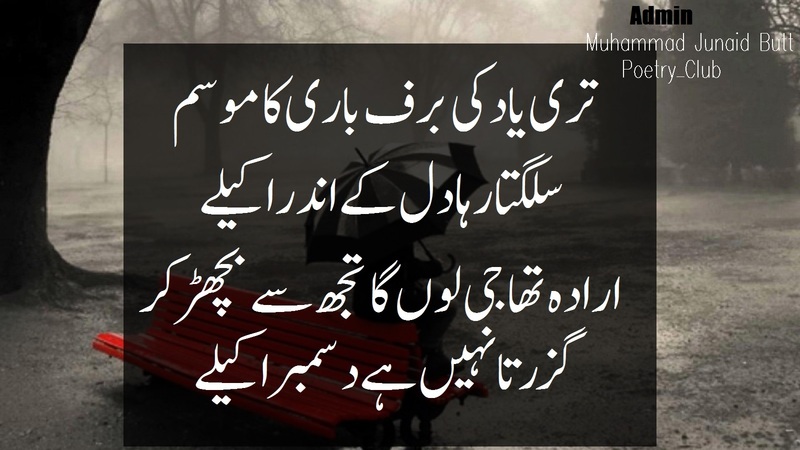 There are different famous poets and poetess which has already wrote many poetry on new year in different languages. December is only the month of year which brings back the memories of whole year, memories can be good, bad, romantic, alone etc. and also brings a hope for new year. The cold and chilly nights of December can make anybody either romantic or gloomy. December can make you romantic in sense if you have your beloved partner with you in chilly nights and it can make you gloomy if you already lost you dear partner, your love, your nearest relative or if you missing someone in December nights. These emotions are briefly addressed in the form of December Poetry that is the depiction of true feeling and thoughts. Many of the people love to read December Poetry to remember their past happenings. 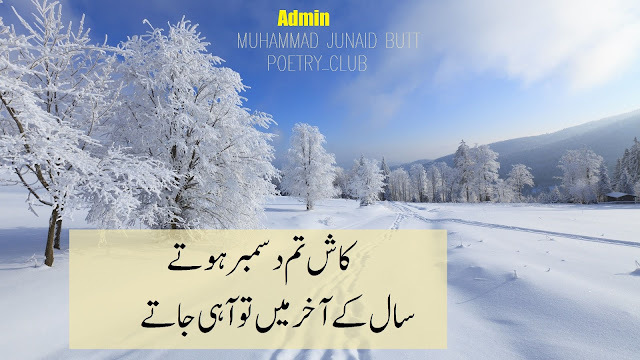 Many renowned poet and poetess has taken the month of cold and chilly December for their poetry to express the true emotions and sentiments of people. 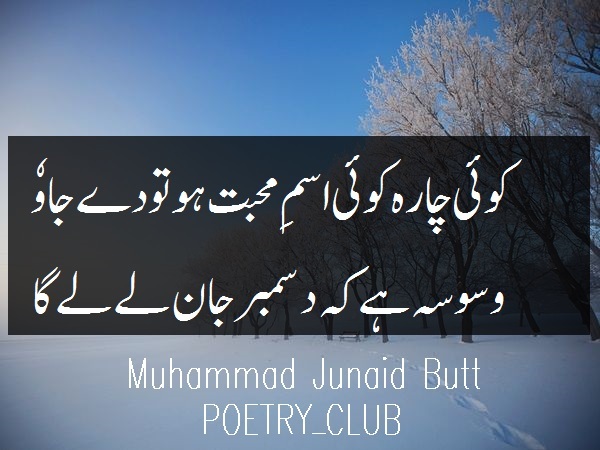 Some of the famous December Romantic Poems includes Chandni December Ki, Akhri Chand Din December Ky, December Lout Aya Hy and much more. 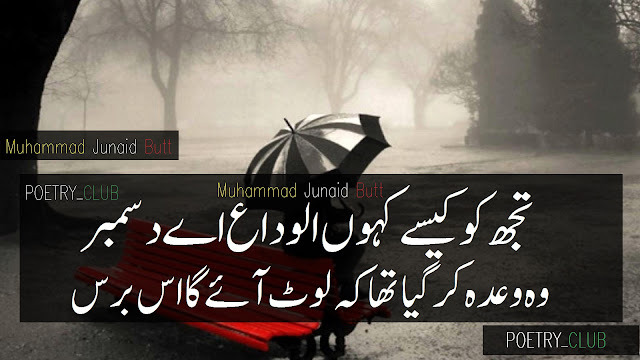 Send us your best poetry by email and we will convert your simple poetry into real emotions and feeling and share with worldwide collection of poetry hub on Poetry Clubs.